About Me Send Cordelia Novik a private message. - Somewhat small in stature, comparatively speaking. 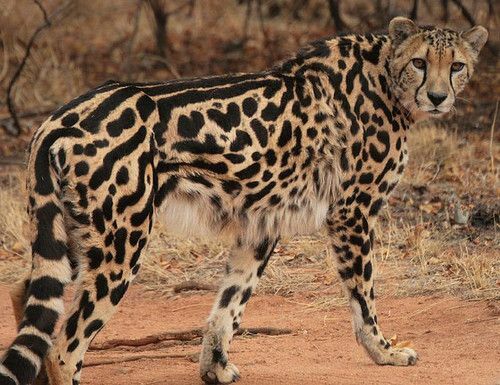 - Has king cheetah coloring. - Has been unable to develop any sort of style due to her sister's constant preening. Followed Yana's lead as far as outfits went when they were younger and still finds herself gravitating towards things Yana would like. - Looks shorter and smaller than she actually is due to the way she carries herself. - Has a beautiful smile. - Her body is free from any tattoos or piercings, though she's always wanted something small. - Hair is black and pin-straight. ANXIOUS. SWEET. SKEPTICAL. PURE. MORBID. Born with paranoia in her bones, Delia thinks with love but operates with fear. Her tender, trembling mind exists in the blunders of the past and the worries of the future. Skeptical of both her safety and her worth, she treads through life limping, burdened, and full of apprehension. However, as grievous as these doubts are, they are innately individual, and do not extend to those outside her person. She meets others with kindness and respect, supplementing the love she should have for herself with the love of friends and family. The young woman has a talent for self-expression (even if that results in her whimpering in the corner). No matter the situation, Cordelia will let you know how she's being affected. Due to her anxious nature, Delia feels safest when she's 'home' -- in a familiar environment with those she cares about, though her desire for comfort can promote the often abusive relationships in her life. Motivated by (what seems like to her) an unachievable harmony, Delia is a diplomat, a nurturer, and a doormat, always putting the needs of others before herself, for their needs are the ones that deserve to be met, not hers. Never hers. - Was raised by her father, however, Yana had much more to do with who she is today than her father or her aunt did. - Had a significant stutter growing up that prevented her from excelling in certain subjects at school. - Follows her sister everywhere, including to San Francisco. Develops an unrequited crush on Yana's boyfriend, Nolan. - Remains completely in the dark about her sister's nature or her involvement with the San Francisco Coalition. - Having finally settled into a comfortable job after six months of searching, Cordelia is caught off guard by Yana's sudden desire to leave the city, and for the first time disobeys her by staying put in San Francisco. - It isn't long before she realizes that while she likes her job, Yana was the sole possessor of their life in the city. Lonely, sad, and growing more anxious by the day, she decides to leave, trailing after her sister to Cordova nine months later. - Though she's worked hard to get over her stutter, she has a tendency to slip up if she's nervous, emotional, or stressed.